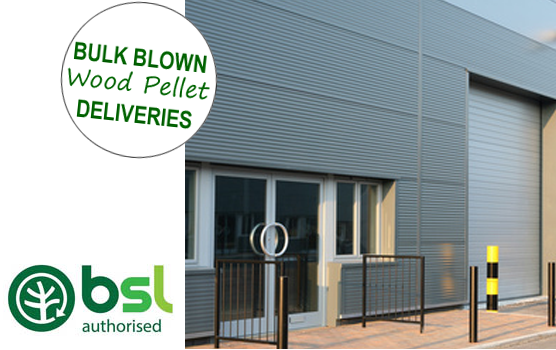 Wood Pellets provide a sustainable fuel, low carbon, highly combustible – ideal for heating in industrial facilities. Wood pellets are a renewable alternative to gas, oil and electricity. Manufactured by compressing sawdust, G.S & P.A Reeves of Wem wood pellets offer a clean environmentally friendly alternative to traditional fossil fuels that is easy to use and backed by G.S & P.A Reeves of Wem own efficient transport system. Reeves have a range of vehicles to deliver wood pellets from small 4x4 vehicles to deliver to domestic properties in remote locations, flat bed trailers to provide pallet deliveries and bulk blown tanker vehicles to provide deliveries to large facilities. G.S & P.A Reeves provide nationwide delivery of sustainable wood pellets for fuel, with daily deliveries for Shropshire, Staffordshire, Cheshire, Hereford and mid Wales. G.S & P.A Reeves are proud to be on the BSL - Biomass Suppliers List of Renewable Heat Incentive (RHI) eligible wood fuels and biomass suppliers. The list is provided by the Department of Energy & Climate Change (DECC) helping you ensure that the fuel you use meets the requirements of Renewable Heat Incentive (RHI) sustainability criteria. Contact G.S & P.A Reeves of Wem for Prompt Delivery and Competitive Prices of Sustainable Wood Pellets for Heating Industrial Premises. Large Stocks Available - Convenient Sized 15kg Bags, Full Pallets or Bulk Blown Tanker Deliveries.